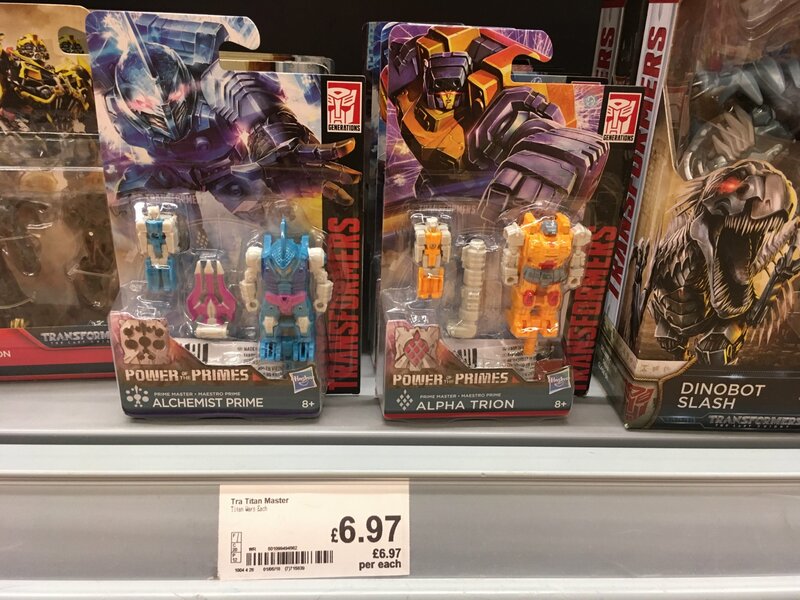 We’ve got word that the next two Power of the Primes Prime Masters have hit UK retail. Prime Masters Wave 2 introduces Alpha Trion and Alchemist Prime – aka Pretender suits Landmine and Submarauder. The pair are turning up in Asda stores, with both reports so far coming from Derby in England. Thanks to TFW2005 member Scott_XIII for the first tip, and returner for confirming it with a photo. Happy hunting, everyone! The post Power of the Primes Prime Masters Wave 2 Released in the UK appeared first on Transformer World 2005 - TFW2005.COM.